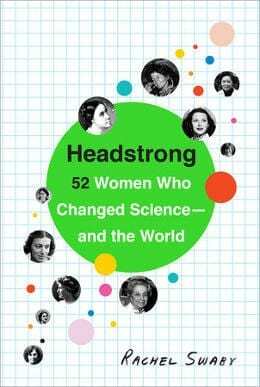 This is an excerpt from Headstrong: 52 Women Who Changed Science And The World, which features biographies of important female scientists you have—and perhaps haven’t—ever heard of. March 25, 2019 - Katie Couric: How We Can Eliminate Bias Against Women in Science FortuneKatie Couric writes that it's time to overcome the gender bias against women in science, technology, engineering, and math (STEM). April 1, 2019 - Mixed messages about women's representation in science—and a missing piece of the picture Science MagazineSpurred by a recent symposium, our columnist discusses progress made and work still to be done. April 11, 2019 - So you want to be a science YouTube star... The Washington PostYoung women have great science role models on YouTube, but being a woman in science on the Internet still isn't easy. April 15, 2019 - Sulzer launches scholarship for women in science and engineering World PumpsThe “Sulzer Scholarship for Women in Science and Engineering” aims to support and increase the participation of women in the engineering industry. April 12, 2019 - It matters who we champion in science The Washington PostIt's great to celebrate individual scientists. But we can't let others get lost in the process.